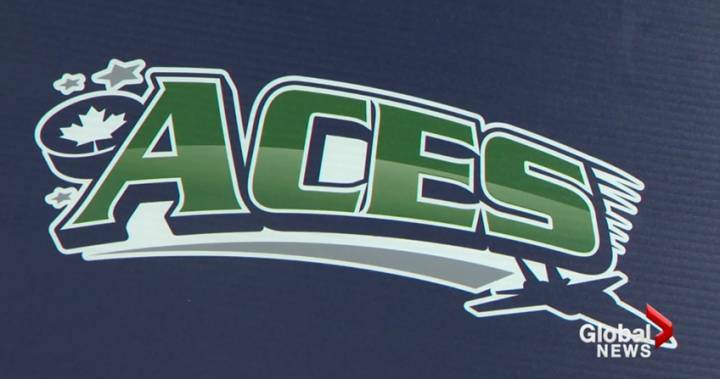 The St. Stephen Aces are no more. The Maritime Junior Hockey League (MHL) announced on Monday that the team will officially call Fredericton its new home going forward, an announcement that comes after weeks of speculation over the future of the franchise in St. Stephen, N.B. As part of the move the Charlotte County Hockey Club Inc., has sold the club to Global Centre Ice Inc.
“Over the course of the past two seasons in particular, we found ourselves in the unfortunate position where our executive had to make a very difficult decision and that was we needed to sell the franchise in order to meet the financial obligations owed to all of our creditors,” said Mike Horne, the governor of the St. Stephen Aces. The MHL said they received a pitch from Global Centre Ice Inc., in March and voted in favour of the sale. “The Fredericton group’s passion and enthusiasm were evident when they made their detailed and professional presentation to the league’s Board of Governors,” said MHL president Dave Ritcey, in a press release. The new team will be known as the Fredericton Junior A Red Wings and will play out of the Grant-Harvey Centre. The facility has an NHL-sized pad and a capacity of 2,200. The City of Fredericton has a population of 58,220, according to the 2016 census.